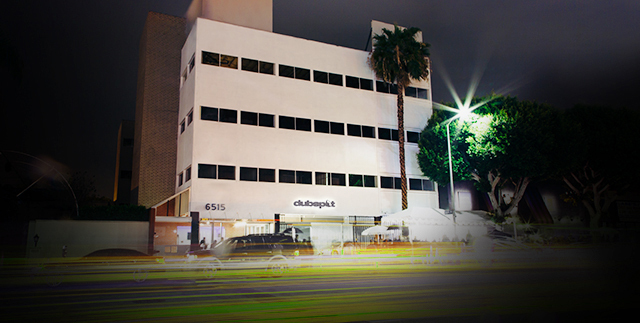 Learn to DJ with our team of seasoned professionals at Dubspot Los Angeles. DJ Reborn, DJ Rap, Dynamix, and Lacey IQ are selectors who bring real-world experience to our DJ Extensive Program. Courses start August 16th and 18th. Enroll now and save 15% during our Back to School Sale! Courses start August 16th and 18th - Register Now! 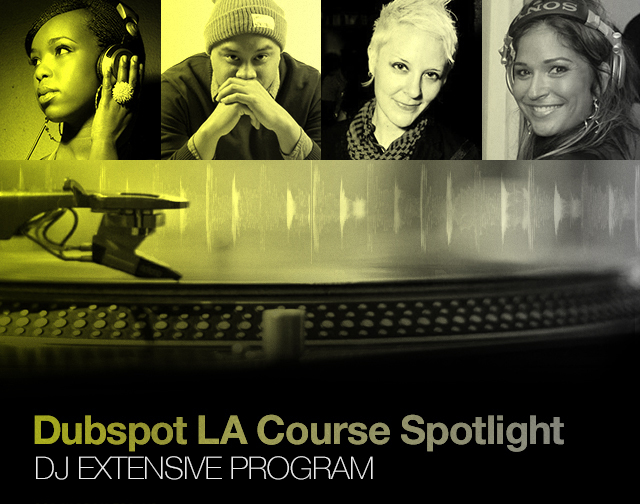 Learn to DJ with our team of seasoned professionals at Dubspot Los Angeles. DJ Reborn, DJ Rap, Dynamix, and Lacey IQ are selectors who bring real-world experience to our DJ Extensive Program. Whether you’re a beginner in search of the fundamentals or a seasoned pro looking to take your talent to the next level, our curriculum is designed to accommodate all skill levels and styles of music. Get hands-on experience using the latest controllers and software such as Native Instruments’ Traktor Scratch Pro, the Traktor Kontrol X1 and F1 controllers, Serato Scratch Live, Pioneer CDJs and DJM mixers, and of course Technics’ classic SL-1200 / 1210 series turntables. 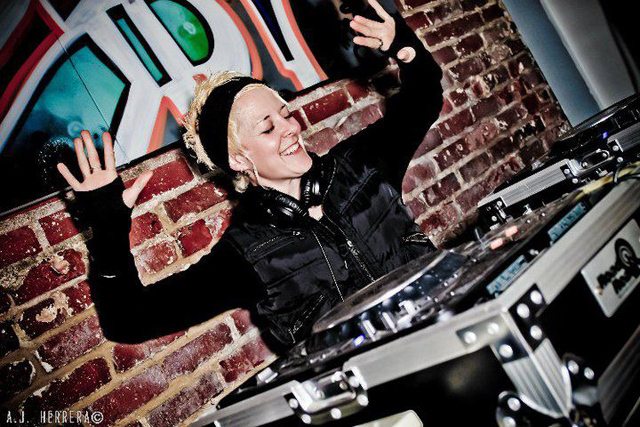 DJ Reborn has been moving crowds for well over a decade with her mellifluous blend of funk, soul, hip-hop, reggae, house, latin, afro-beat, rock, 80’s, and electro sounds. Originally based out of New York, DJ Reborn has built an amazing career spinning everywhere from concert venues to clubs and museums including the Whitney, the Cooper-Hewitt Design museum and the Brooklyn museum. She’s also spun exclusive events for musical artists Metallica, Maxwell and Lauryn Hill as well as celebrated visual artists Kara Walker and Wangheci Mutu. She has proudly provided customized soundscapes for Eve Ensler’s V-day project as well as staged readings for Howard Zinn’s Voices of a People’s History. Reborn was the international tour DJ for Russell Simmons’ Tony award winning Def Poetry Jam as well as musical director and DJ for renowned actor and playwright Will Power’s off Broadway hit show Flow. Charissa Saverio, a.k.a. DJ RAP, is an undisputed queen of the turntables who has been voted the number one female DJ in the world. She’s been an ambassador for electronic music and DJ culture around the world and she has collaborated with artists such as BT, Eric Morrillo, Hans Zimmer, Hybid, and DJ Tydi. 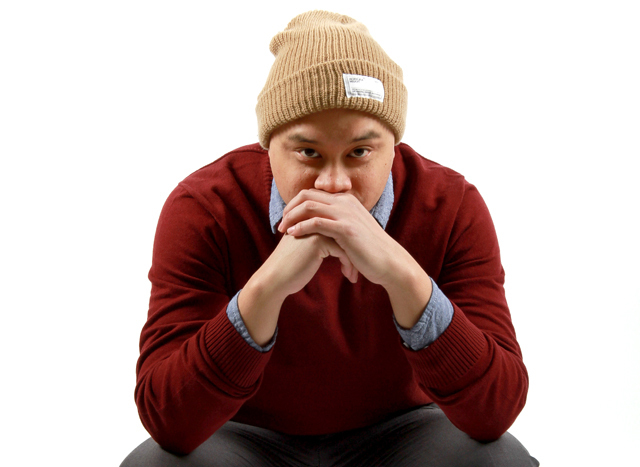 DJ Rap is also a classically trained pianist and song writer who runs two record labels (Propa and Impropa) and has produced numerous chart-topping releases. She has also produced music for video games, commercials, and numerous other films. DJ Rap is multi-talented, accomplished, ambitious, and driven by her passion to create and her love for music. We are very excited to have her as part of our Dubspot Los Angeles team. Recognized as one of LA’s elite open-format DJs, Dynamix keeps a consistent tour schedule rocking parties in major cities across the US. From winning back-to-back titles in the prestigious Red Bull Thre3style DJ Competition to being one of the most memorable DJs on VH1′s Master of the Mix, the highly decorated DJ continues to prove his excellence behind the turntables. His versatility can be seen in several videos on DJ City TV and heard through his radio appearances on Power 106 in LA, KISS FM in Chicago, and iHeartRadio. Recently signed to Sleeping Giant Music, Dynamix continues to expand his reach to different markets and cities across the world.